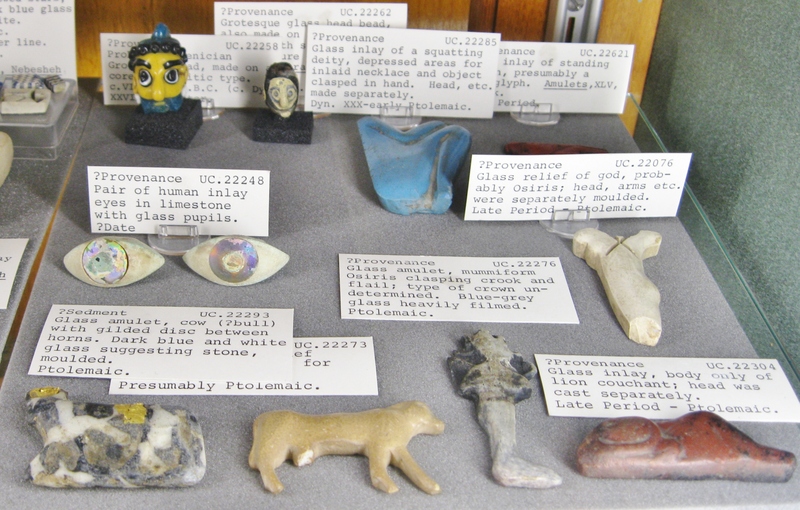 Established in 1892 primarily as a teaching tool for the new Department of Egyptology, University College’s Petrie Museum of Egyptology is tucked away in a rather obscure location off Gower Street. Were it not for a few colorful banners pointing the way, it would be difficult to find. Visiting hours are quite limited. 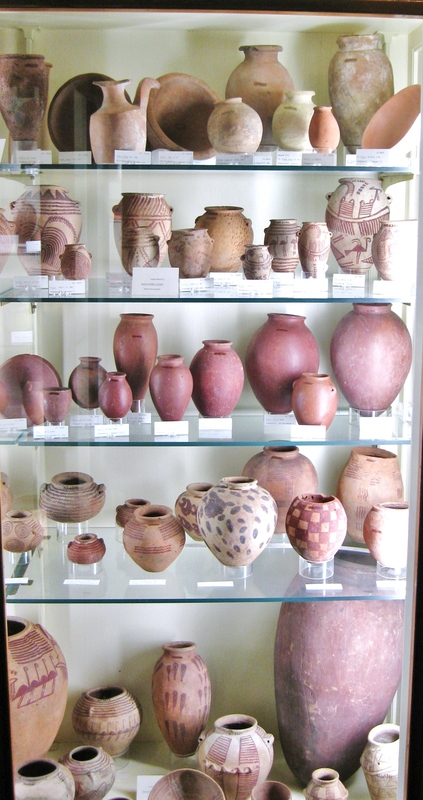 Started with the donation of a few private collections, the Petrie’s holding grew enormously in the first few decades of the 20th Century through the prolific excavation work in Egypt of Sir William Flinders Petrie. Removed from London during the Second World War for safekeeping, the collections were returned in the 1950s and housed in a former stables building, where they remain today. 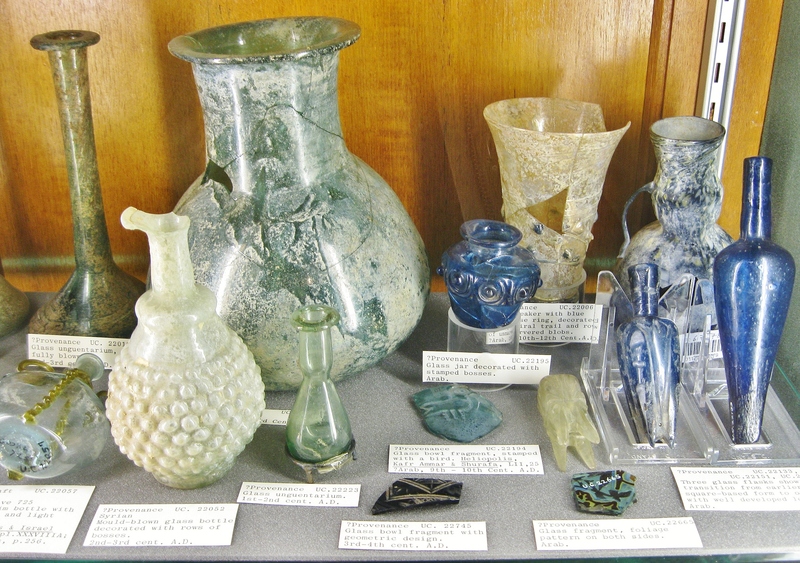 The Petrie’s collections are particularly rich in Pre-Dynastic and Early Dynastic materials, especially pottery, as well as textiles and costumes, glass and faience, papyri and inscribed architectural fragments, many with string colors remaining. Unusually, much of the material has clear provenance, having been obtained through controlled excavations with find spots recorded. Also rather unusual is the fact that the Museum’s collections cover not just Dynastic Egypt but also Roman, Byzantine / Coptic and early Islamic materials. The immediate impression one receives upon getting clear of the small admissions area and entering the Museum itself is of the stereotypical “old fashioned” dark and dusty late 19th or early 20th Century museum experience. There is nothing nostalgic about this. The fact that the Museum is housed in what was once a stables now makes its impact. The spaces are very tight. There is very little room around most of the old fashioned, academic display cases for more than one or two visitors to look at the contents. The lighting is dim (though in some instances this is to help preserve light sensitive materials), making it difficult to enjoy even the most impressive pieces. 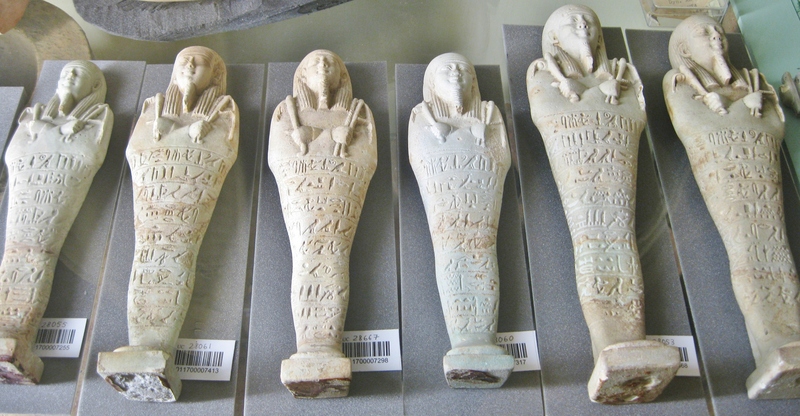 Objects are stuffed together tightly in small cases, accompanied by descriptive labels that might be less than informative to a visitor with no background in Egyptology. In most instances, obtaining good photographs is nearly impossible due to the lighting conditions and highly reflective glass of the old cases. The overall impression left is one of frustration at not being able to adequately enjoy the many wonderful pieces on display, and of puzzlement as to why such an extraordinary collection has been relegated to such an inadequate space. 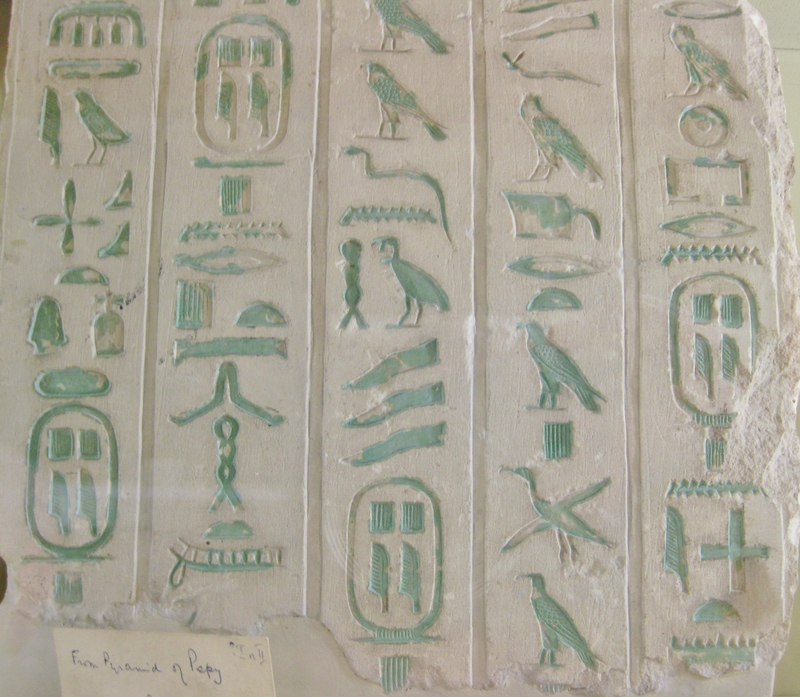 Having said all this, the Petrie is still very much worth a visit for anyone with more than a passing interest in ancient Egypt and the ancient Mediterranean world in general. The images below are intended to provide only a modest sample of what awaits the visitor. Enjoy! 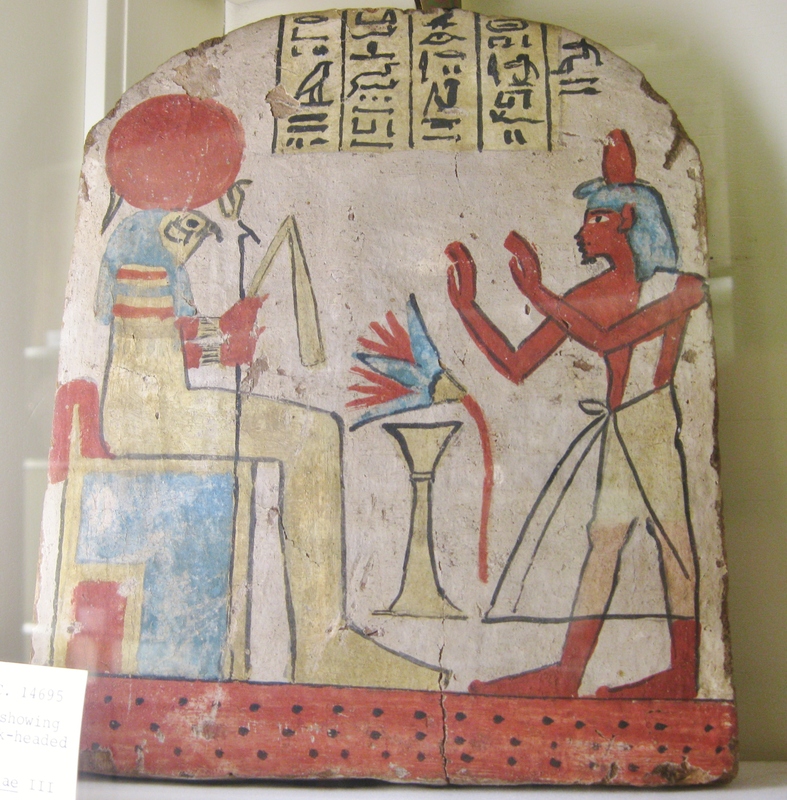 Painted wood funerary stele showing the deceased adoring Horus. Dynasty XXII or later. 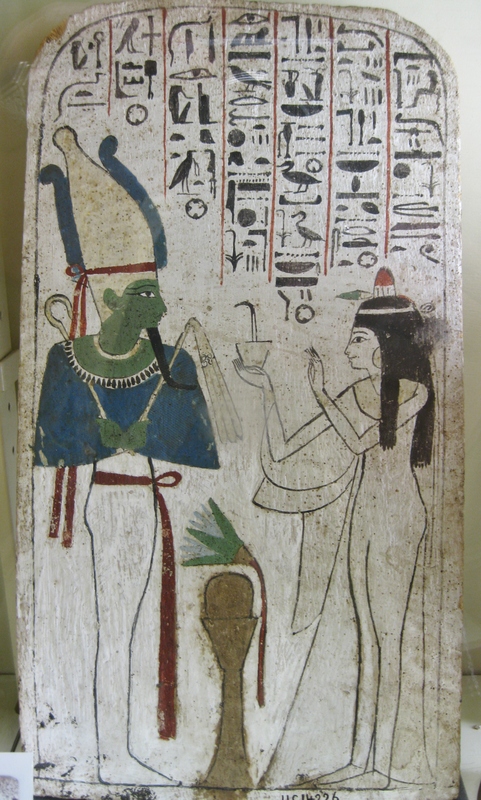 Painted Wooden Stela of Neskhons, Queen of Pharaoh Pinezem II, Dynasty XXI. The deceased Queen adores Osiris whose green skin suggests regeneration and rebirth. 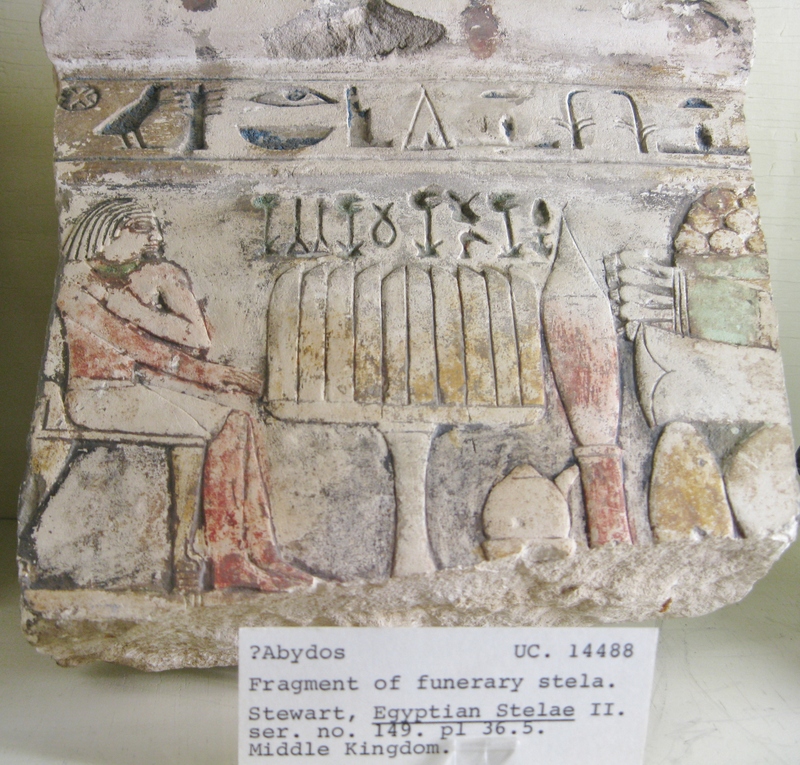 Middle Kingdom polychromed fragmentary funerary stela. Previous Post Everyone should read this! 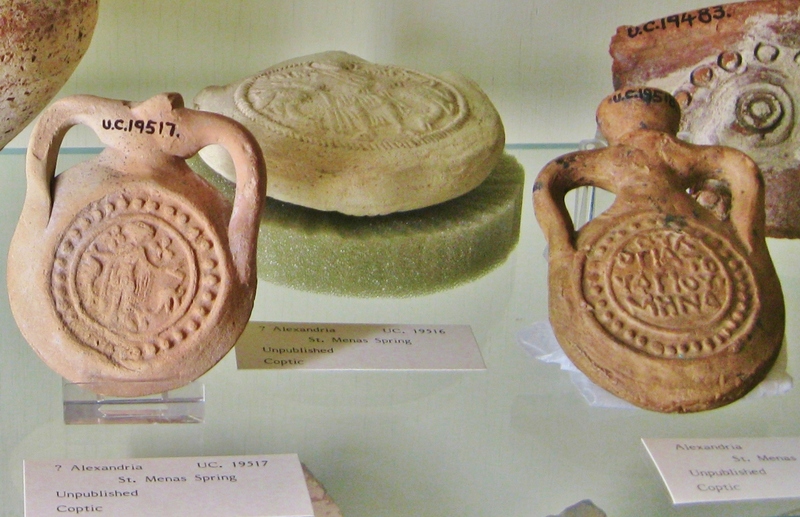 Museum staff, not antiquities dealers, arrested for theft of artifacts!